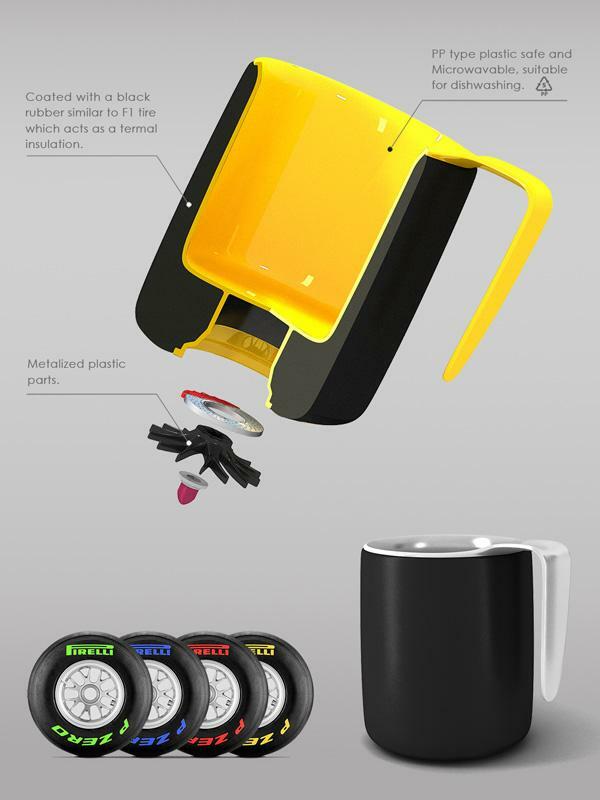 We have introduced many cool coffee mugs, but if you’re a big fan of F1 racing, the following Pirelli coffee mug should be able to draw your more attention.Pirelli Coffee Mug is an awesome design concept designed by Behzad Rashidizadeh. As we can see from the images, the coffee mug looks really like a formula car tire with striking decors, and similar with formula car tire, the coffee mug features a thick black rubber for the tire look and as a thermal insulation, moreover, the interior and handle are made from PP type plastic, which is safe for microwave and dishwasher. Of course, most importantly, the coffee mug is able to express your passion for F1 racing in a unique way. After the break, check out the following images about the design concept.